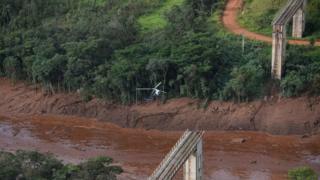 Dozens of people died and hundreds are still missing after a dam collapsed at an iron ore mine in Brazil. The rupture released a sea of contaminated muddy sludge sliding towards the town of Brumadinho, eventually covering an area the size of 300 football pitches. The mud buried the dam site's cafeteria, where workers were eating lunch, before engulfing nearby houses, vehicles and roads. Built in 1976, the dam was used to hold residue from the mine, which it is feared may contain harmful chemical substances. So, how will it be cleared up and how could the operation be guided by lessons from past disasters? Before and after photos show the vast scale of the destruction caused by the sliding mud. Vale, the mining company responsible for the dam, has announced plans to deal with the debris. These include building barriers to contain the mud in the area around the dam, dredging a section of the nearby river and constructing barriers to sift out the fine residue. This case is especially sensitive because of the number of bodies thought to be buried by the mudslide. "It isn't just mud there, it's people's families. Everything will depend on how rescue efforts go. And it will take a long time," says Anderson Amparo, from Brazil's Environmental Protection Agency (Ibama), which, along with other agencies, is responsible for determining what to do with the waste. And he says even if the authorities were certain that there were no more bodies in the mud, it would not necessarily be cleared in its entirety. "In some areas it is best to plant over the land to restore it to its original use, whether it be agriculture or forest," Mr Amparo says. Miguel Felippe, a professor of geoscience at the Federal University of Juiz de Fora, disagrees. Although it is not yet clear if the mud in Brumadinho is toxic, he says some environmental damage is to be expected. "This debris is very likely to contain harmful chemical substances," he says. "Even if there are no traces of heavy metals, which are the most worrisome, like arsenic, there are others which are sure to be there and will float downstream, as the mud has already reached a river, so, environmentally speaking, it would be best to remove the material." Vale says an analysis is under way and the results are expected within the next two weeks but it is too soon to say for sure that the mud is toxic. 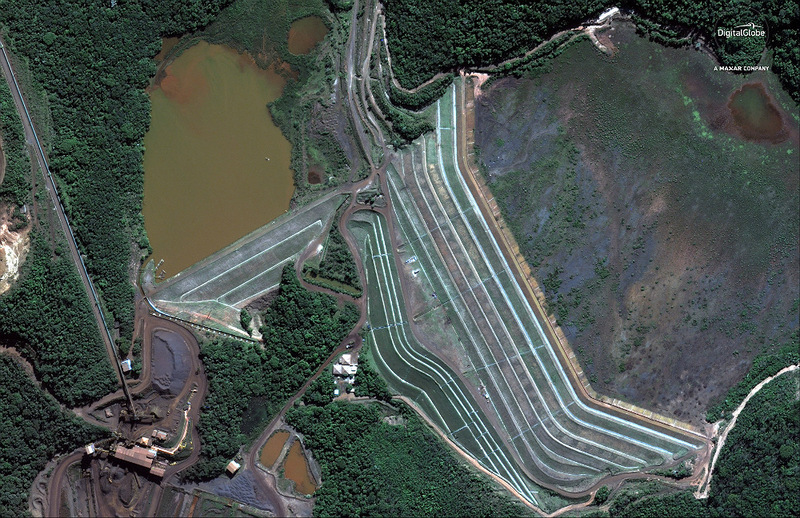 The mine waste, known as tailings, may contain traces of nickel, magnesium, cadmium, iron oxide, ammonia, silica, silt, clay, mercury and arsenic, says Bráulio Magalhães Fonseca, a geologist at the Federal University of Minas Gerais. And experts say the level of toxicity will depend on the concentration of each substance. Roger Doome, director general of the Industrial Minerals Association Europe, in Brussels, says that implementing an appropriate clean-up response depends on assessing the specific type of contamination. If that can't be removed, it needs to be neutralised, he says. "And if the elements are flowing down the river, it is almost impossible [to avoid contamination]." Different cleaning techniques will need to be applied to different types of mud. Prof Felippe says the top layer of mud could be removed through dredging or using excavators. "As you get closer to the soil, more sophisticated technology is required because heavy machinery may damage the soil, exposing it to erosive processes," he says. Brazil went through a similar tragedy in 2015, in what was considered to be the country's worst environmental disaster. A dam burst in the nearby town of Mariana, also owned by Vale, in partnership with BHP Billiton, releasing 43.7 million cubic meters of mining waste and killing 19 people. Most of that waste - about 90%, according to the environment agency - was never removed. That disaster led to a public campaign to introduce tough legislation on the mining industry. But campaigners were disappointed by the regulations eventually passed, saying they failed to address their demands for stricter safety measures. They had also called for a ban on the type of dam involved in the Brumadinho disaster. Mr Doome recalls two accidents he says set a precedent for how the mining industry in Europe responds to accidents where dangerous substances are involved. In April 1998, a dam burst in Aznalcóllar, Spain, releasing almost seven million cubic meters of mine tailings. The acidic mud and water were tainted with heavy metals and travelled for over 40km (25 miles) down the Guadiamar river, contaminating 4,500 hectares (17 sq miles) of land on the Doñana National Park, a Unesco world heritage site. The clean-up operation took over three years and cost 240m euros (£210m), according to Spanish newspaper El Pais. In 2000, tragedy hit the Romanian town of Baia Mare. A dam partially collapsed, releasing about 100,000 cubic metres of water contaminated with cyanide. The water ran down streams towards the Tisza river, reaching the Danube and the Black Sea. "Since those tragedies, we have adapted European legislation so that now we have a strict action plan and legal requirements," Mr Doome says. "For instance, if we assess that there is a minor risk [of spilling], by law we have the obligation to provide an emergency plan, internal and external. "The plan must be ready and in place even before the mine starts operating." 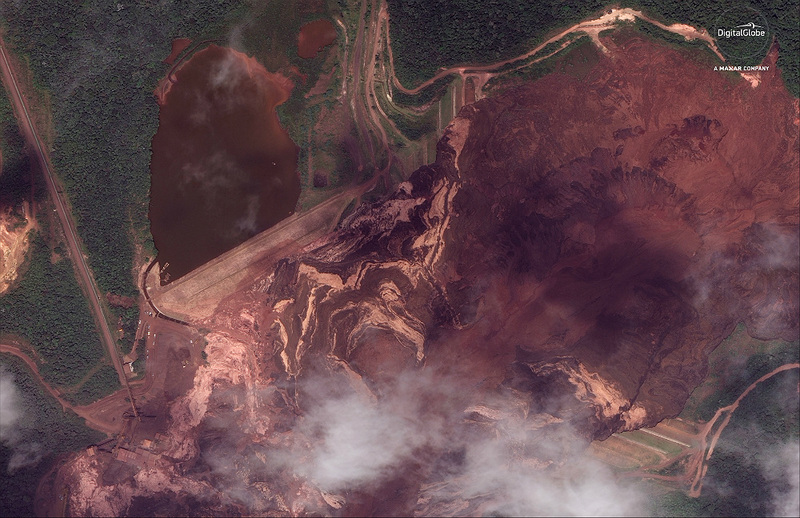 The Brumadinho dam had passed safety inspections. Five people involved in the inspections have been arrested as part of an investigation to find out whether the process was fraudulent.